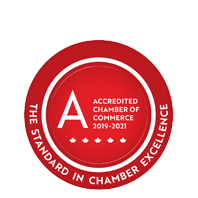 Green Mail - April 16, 2019 - Business Directory - St. Thomas & District Chamber of Commerce - ON, ON ? We're halfway through April and our schedule is packed full of upcoming events --- Tomorrow is our April Business After 5 at the TCB Building on Talbot Street (and don't forget your karaoke-singing voice). Next Tuesday April 23 is our Evening with Finance Minister Vic Fedeli. There are still tickets available for this Member-only event. And after a year of planning, we're welcoming Peter Mansbridge to St. Thomas to help us celebrate business and community success on May 9 at our Impact Awards. Click here for all the details and more.